According to IUCN, the World Conservation Union, “80% of original forest that covered the earth 8000 years ago has been cleared, fragmented, or degraded by modern society”. Over nine million hectares of forest lands are lost each year throughout the world. The preservation of the world’s forests is crucial, both for planetary and socioeconomic reasons. Not only are they beautiful, they are critically important for life to exist on this planet. 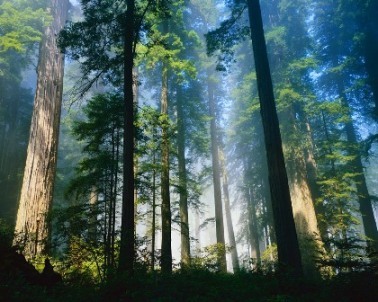 Trees emit oxygen and take in carbon dioxide – they literally allow the planet to breathe. They help reduce air pollution, greenhouse gases, and help to prevent soil loss and erosion. Without trees and forests, there would be no life. Woodlands also provide shelter and food for a myriad of species of animals and plants, some of which are nearing extinction due to habitat loss. Many rural populations, including some of the last remaining indigenous cultures on the planet and billions of impoverished people throughout the world are dependent on tropical forests for their very way of life. Forests provide them with food, fuel, medicine, shelter, and livelihoods. The loss of these wooded areas would have severe social and economic impacts on these people as well as on the rest of the world. Not only must we put an end to the destruction of our forests, we must implement methods of reversing this loss through forest conservation. One of the biggest threats to the decline of the world’s forests is due to deforestation for the sake of commercial and urban development. Over logging and the production of timber, oil, gas, and coal drilling and mining, as well as road building are all factors that are putting our woodlands in jeopardy. They are also having a negative impact on local economies, tourism, and the people who depend on these wild places for their way of life. Bulldozers and other heavy machinery and equipment used in logging and construction also endanger the ecologically sensitive habitats of wooded areas, particularly old growth forests, of which only a small percentage remain throughout the world. Solutions to the loss of our forests include management of woodland resources by local communities and forest dwelling populations, efforts by various forest conservation organizations dedicated to their preservation, and the restoration of forest goods and services for the benefit of people and planet. The regulation of carbon dioxide emissions to reduce global warming, in addition to government support and protective environmental policies are also crucial to reverse the decline of our forests and woodlands. * 3400 plant species found in tropical forests are threatened with extinction. * 50% of all plant and animal species on the planet inhabit the mere 7% of the earth covered by rainforest. 1. Plant trees. It is only the first step, but it is a place to start, and it is something that we can all do to contribute to the solution. 2. Check out getonboardnow.org. For just $5.00, through this website you can adopt a tree to be planted where it is most needed. 3. 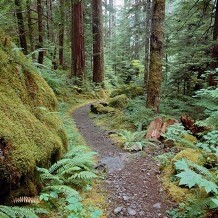 Visit the National Arbor Day Foundation at www.arborday.org. Donate and help replant our national forests. Learn more about trees and other ways in which you can help. 4. Project Green Hands – www.projectgreenhands.org. “A massive ecological initiative to plant 114 million trees in the next ten years, aiming to restore 33% green cover in Tamil Nadu, India.” Project Green Hands set a Guinness World Record for mass tree plantings in 2006. 5. Buy your friend, relative or colleague a GreenPoint! A GreenPoint is one square meter (10 sq. feet) of land in Queensland, Australia, and makes you, your friend, relative or colleague the legal owner of this land. Find out more here.